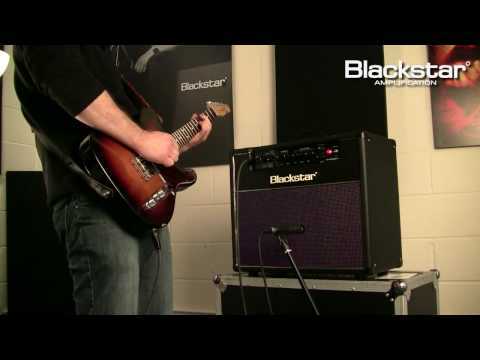 The Blackstar HT Studio 20 combo is the big brother of the acclaimed Blackstar HT-5. It offers huge versatility for home, rehearsal or studi.. The Blackstar HT Studio 20 combo is the big brother of the acclaimed Blackstar HT-5. It offers huge versatility for home, rehearsal or studio use. The voiced preamp coupled with an EL34 power amp provides the ability to create lush valve tones. Add to the mix a 12" Celestion speaker and the amp really comes to life. The HT Studio 20 has two channels available for selection. A Clean channel and an Overdrive channel. Using the Volume control while on the Clean channel, lets you go from a clean sound through to a crunch tone. Using the Overdrive channel you can change from a clean sound to a distorted lead tone. Adjusting the gain controls allows you to do this. The ISF control works in conjunction with the Tone control. It allows you to choose the exact tone signature you prefer. CCW is a more American characteristic, with a tight bottom end and a more aggressive middle. CW is a British characteristic which is more ‘woody’ and less aggressive. The reverb control sets the level of the effect. With the control counter clockwise there will be no reverb. Turning the control clockwise will increase the amount of reverb. The amps effects loop allows you to connect effects pedals or other professional equipment. The Effects Loop Level lets you switch to either +4dBV or -10dBV. enabling you to use it with either professional equipment, or with guitar effects pedals.